VPN stands for Virtual Private Network, and maybe you have heard or read that term in association with privacy and geolocation. In this article we will learn and look into what exactly is it how does it work and what can it do for you. Let me explain it now but before we dive into VPNs, let me tell you a little bit about how the internet works now. At home, you have probably got some router or modem from your telephone company or your internet service provider. Then that is connected to your desktop, maybe by an Ethernet cable, to your smartphone over Wi-Fi, perhaps to your laptop over Wi-Fi and so on. Inside your house when you do a laptop talk or your PC talk or your phone talk that is part of your private network, and that does not go out onto the internet. It stays inside your house, but the moment you open a web page somewhere out on the internet that data flows through your modem down into your local phone company or ISP and then out across the internet. It will travel across the internet until it gets to the server the server will then reply with some information that will come back through the internet into your local telecommunications provider or ISP down through to your modem and then back onto your PC or your Android smartphone. Now, while all that data is rushing around the internet, it needs to know where it is going and the things to know where they are going. They need an address it is the same with the postal service is the same when you want to go and visit somebody. It is the same with data on the internet. There are different layers of addressing or different types of addressing that go on, but at the highest level, each of these packets of information has what is called an IP address. The IP address is you have probably seen them there those four digits from 0 to 255 with dots in between them so maybe like 178.304.67. The modem or your router has probably been assigned an IP address from your ISP and what happens in is that when your data goes through the internet every piece of equipment, it touches every router every server it touches knows that your IP address. It is done that is not because they are trying to spy on you but because trying to connect collect data about the number of people that clicked into their website. What a VPN does is it allows you to create a tunnel a connection from your home computer to a server somewhere else in the world. The connection is encrypted, and then when I access something on the Internet, it goes through that tunnel and then it arrived at that other server and then it goes on to the Internet, and it will finally arrive at the web server or the service. Your IP address will no longer be your IP address. The IP address of the VPN server protects your IP. 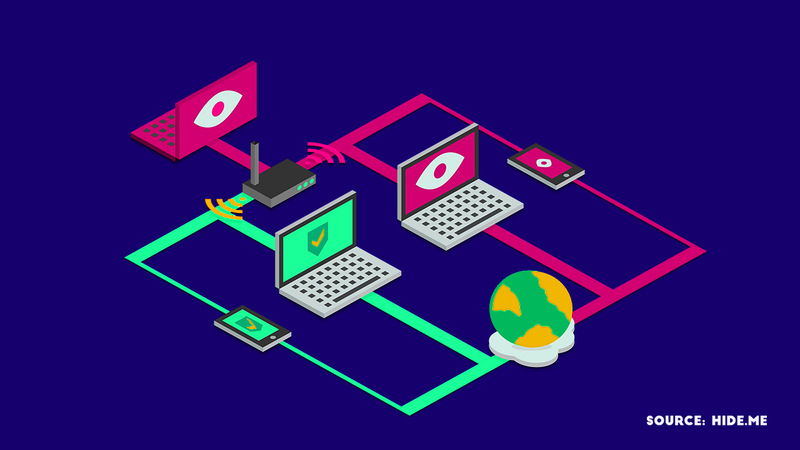 If you use a VPN, first of all, your local telecommunications provider and your local government have no idea about the sites that you are accessing. When you go through the VPN, it is all encrypted. VPN allows you to connect to another server in another country. @author What tunnelling? What is difference between regular connection and funnelled connection?